Introducing GABRIELLE which launched countrywide on 1st September. As you will probably remember, the last launch from CHANEL in the fragrance category was CHANCE, which I most definitely was a fan of 15 years ago (and have since out-grown) and now it almost feels like CHANEL has grown up with me and delivered a scent that has honestly exceeded my expectations. GABRIELLE was Coco Chanel’s birth name. Something you may not know about her is that she was a free woman and one who didn’t let societies conservative expectations of how women should be define her. She rebelled and she made a statement in doing so. She really was an incredible person, starting life out as an orphan and, through her sheer determination and resilience, made her dreams come true. I am telling you this background as the nickname ‘Coco’ only came about in her later years and this is how she was known to close friends and family. Before this, she was merely called her first name, Gabrielle. This fragrance represents the authenticity of Gabrielle Chanel in her purest form; no frills, no masks, no facades. 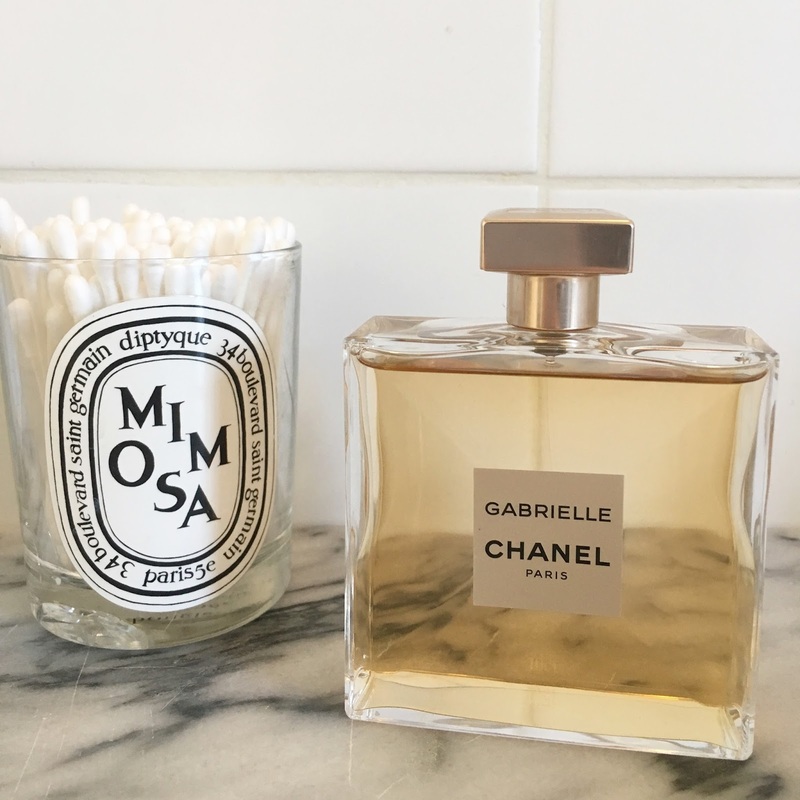 A rebellious, powerful scent that represents what Gabrielle Chanel stood for. This scent was created by CHANEL’s in-house perfumer, Olivier Polge. It was Olivier’s father, Jacques, who was the previous nose of the CHANCE fragrance family. To me, I spray this scent and I think sophistication. I think feminine. I think timeless and I think iconic. When I first smelt this juice a few months back (in an unlabelled fragrance vial) I knew it was going to be a scent I would opt to wear for years. I am going to go as far as to boldly claim that this is my best scent from CHANEL to date. I absolutely adore it. Lastly, this bottle is something pretty special and I was told it took 7 years to create. It’s clean and modern. The bottle is made of incredibly thin glass; so much so that the usual thicker base of the perfume bottle, was blown outwards and polished down to form an evenly fine base. The angular walls are said to reflect light with the only branding being the simple label in the centre of the bottle which matches the embossed matte logo on the lid (see below). It’s the simplicity of the bottle that makes me love it so much. Classic, like everything that comes from this brand. 50ml is R1745 and 100ml is R2565 at selected Woolworths stores and online. Oh and how beautiful is the advert.